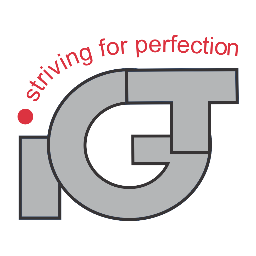 IGT (Integrated Gas Technologies) is a gas control equipment company excelling in manufacturing and marketing of LPG cylinder regulators, cylinder valves and equipment accessories. All together the two founders have 40 years of solid experience in the global LPG regulator business. Being globally competitive in the 21st century undisputedly involves business activities in China. That is why it was decided to place the production facility of the IGT LPG regulators in Yuyao city just south of Shanghai in China. Today the production of the LPG regulators takes place in a WFOE (Wholly Foreign Owned Enterprises) named Ningbo Shuai Xian Regulator Co Ltd.
All IGT employees work at ergonomically well designed workplaces, and enjoy a safe and clean working environment. The factory has been audited and approved together with other international gas companies to meet the highest standards for an international customer segment.